The Yanagiba knife has long leaf-like shaped blade. 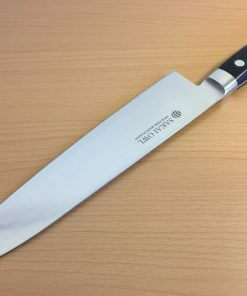 The blade length of this knife is 240 mm/9.45 inch. 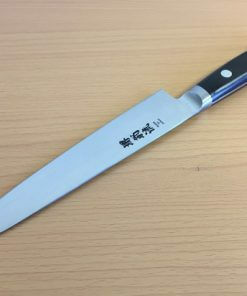 This is a good size to cut medium to large size fishes for Sashimi. 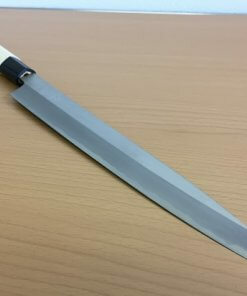 This product is a longer version of Yanagiba S-210 (product link HERE). 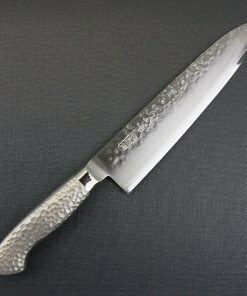 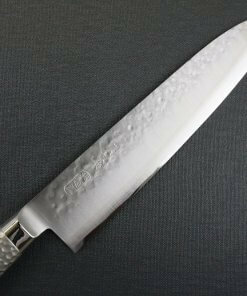 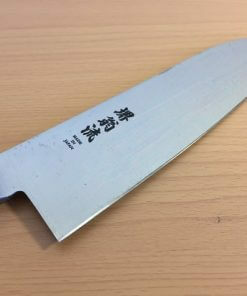 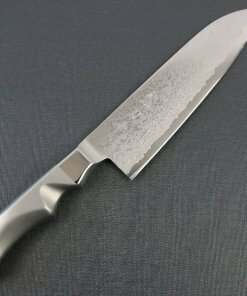 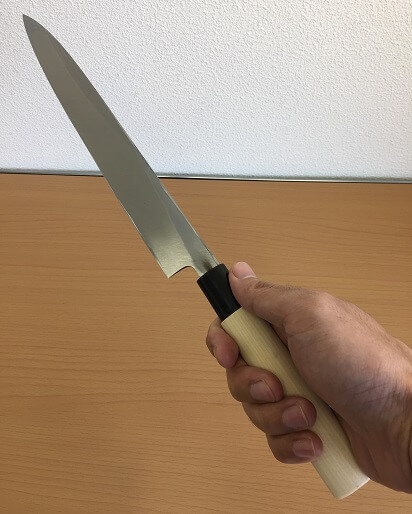 This knife is made by Norimasa Sakai. 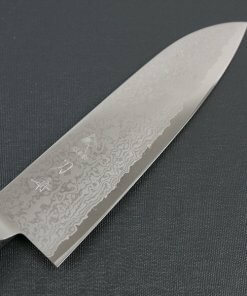 This shape is a result of specializing for a slicing of fish for sushi and sashimi. 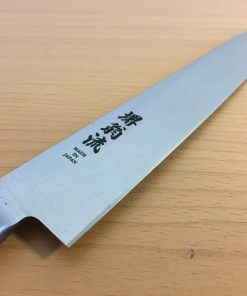 Its length and shape of the blade allows you to slice through an ingredient with extremely a long stroke, which prevent cut ends of ingredients from being squashy due to multiple strokes. 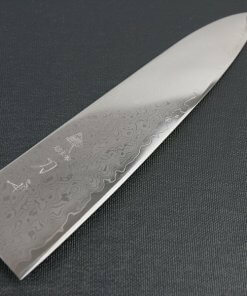 Then, this knife is the best for the purpose. 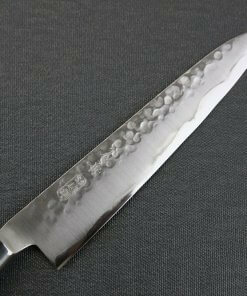 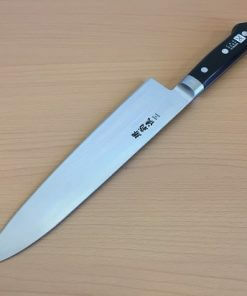 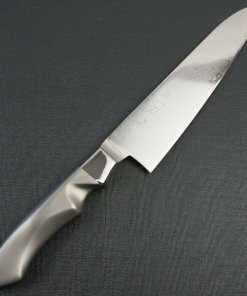 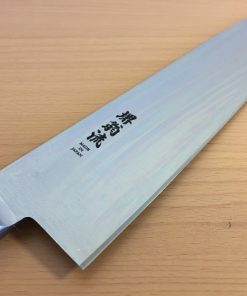 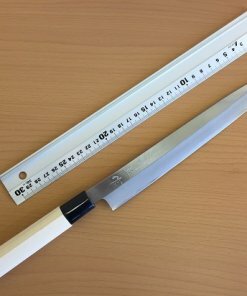 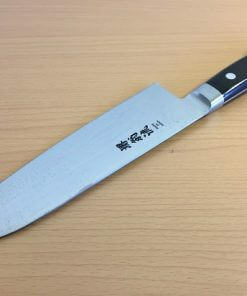 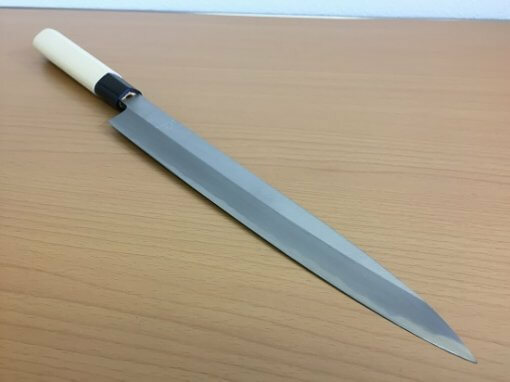 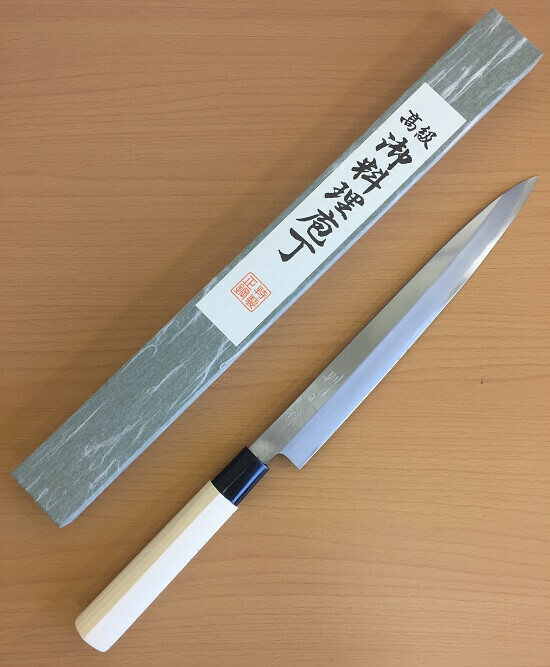 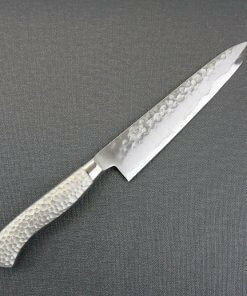 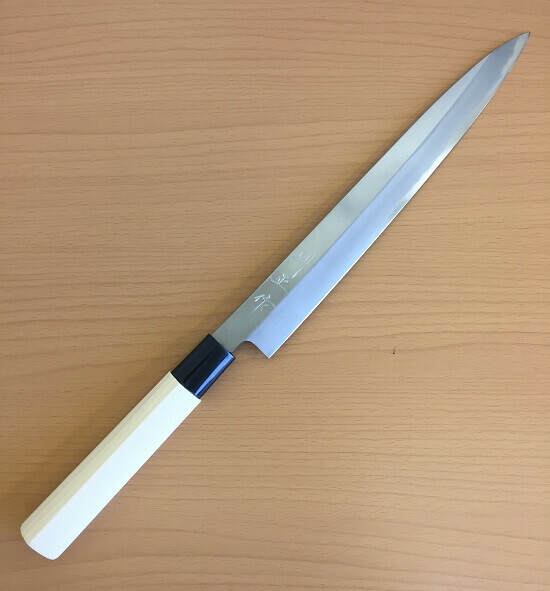 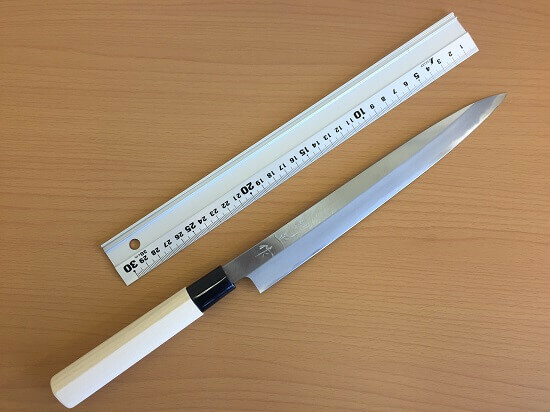 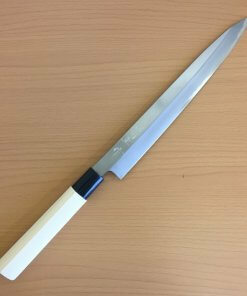 Length and shape of the blade of Yanagiba allows you to slice through an ingredient with extremely a long stroke, which prevent cut ends of ingredients from being squashy. 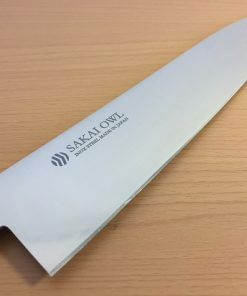 You’ll understand how taste of sashimi is different from those cut by normal knives.